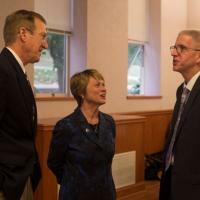 From left, Kent State University Press Director Will Underwood, KSU President Beverly Warren, and AAUP Executive Director Peter Berkery converse at KSU Press's 50th anniversary celebration, September 25, 2015. 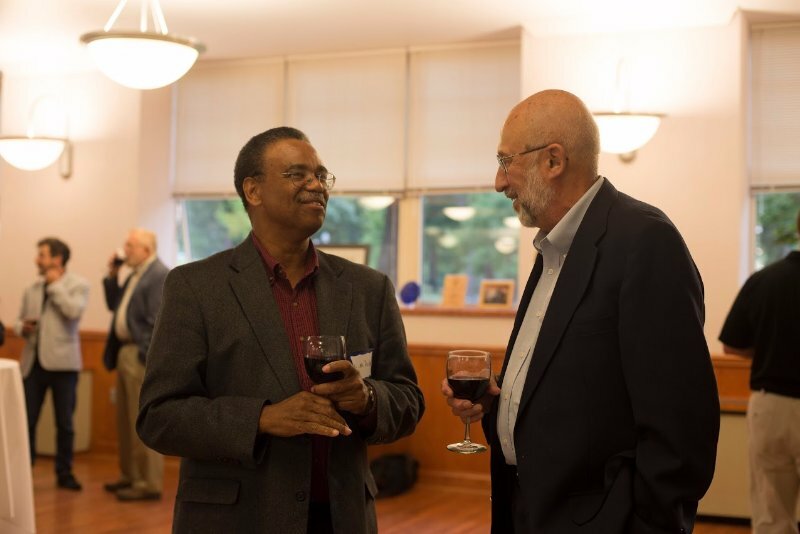 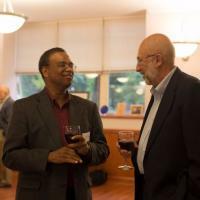 Authors Leonne Hudson (left, KSU History) and Donald "Mack" Hassler (KSU English) at KSU Press's 50th anniversary celebration, September 25, 2015. 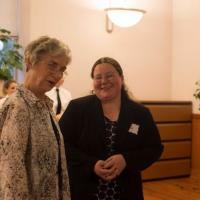 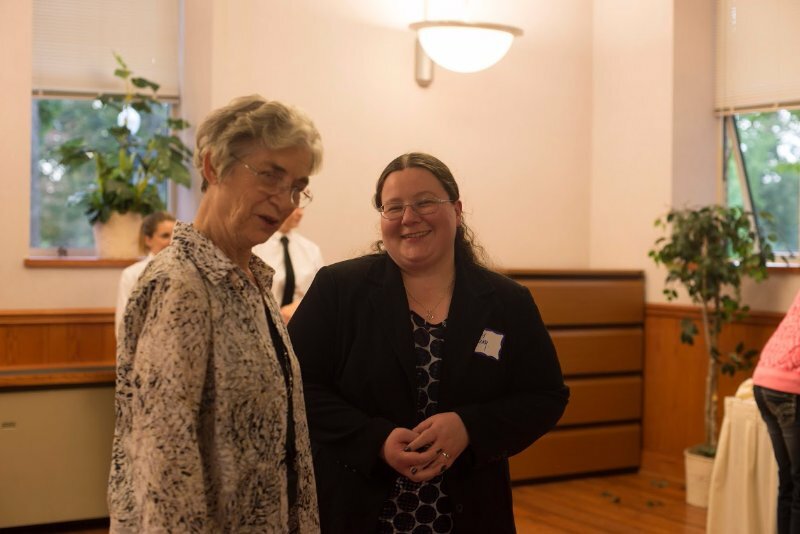 Bookkeeper Norma Hubbell (left) and Managing Editor Mary Young at Kent State University Press's 50th anniversary celebration, September 25, 2015. 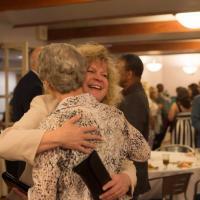 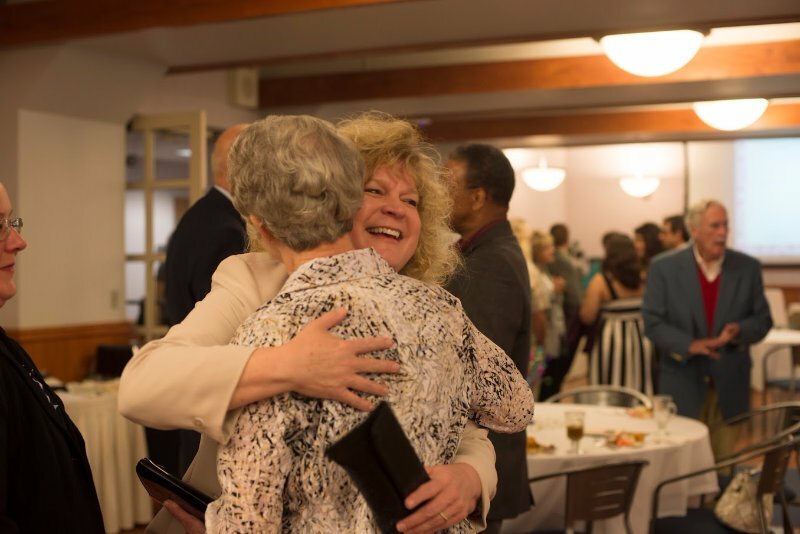 Senior Associate Provost Melody Tankersley hugs Bookkeeper Norma Hubbell (back to camera) at Kent State University Press's 50th anniversary celebration, September 25, 2015. 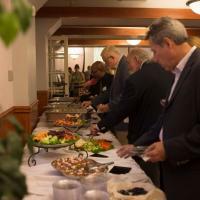 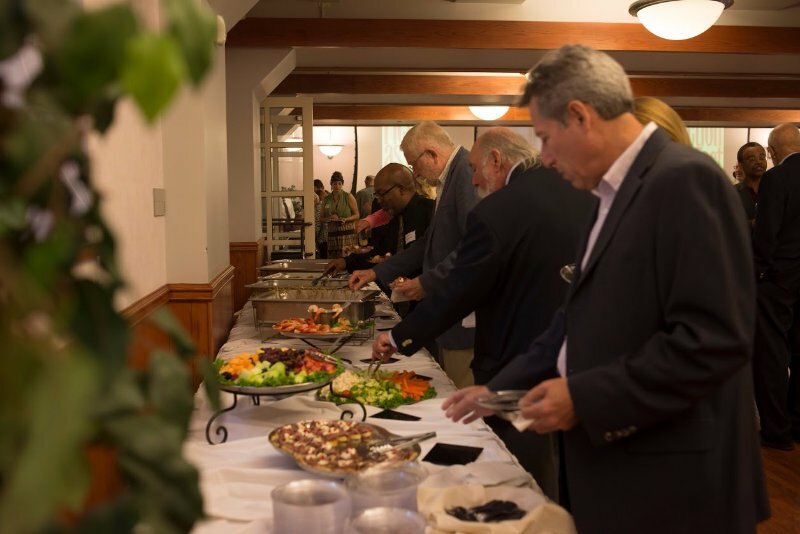 Guests line up to enjoy the refreshments at Kent State University Press's 50th anniversary celebration, September 25, 2015. 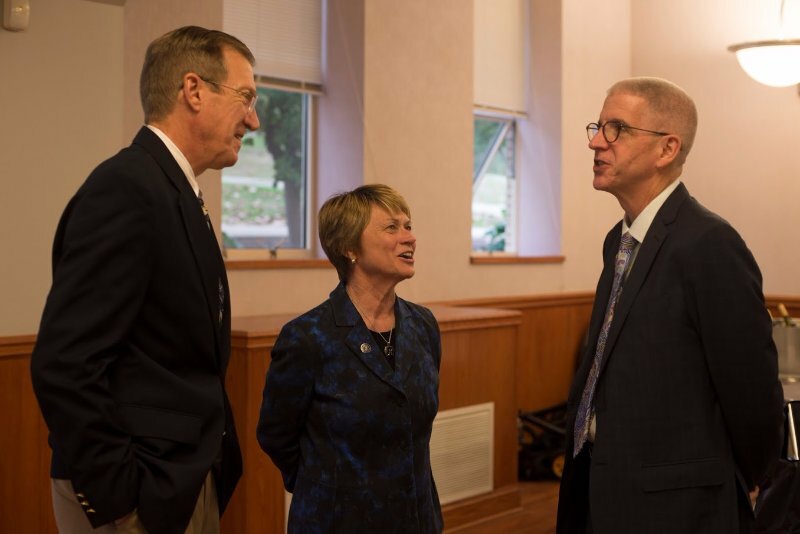 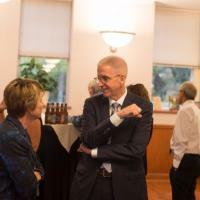 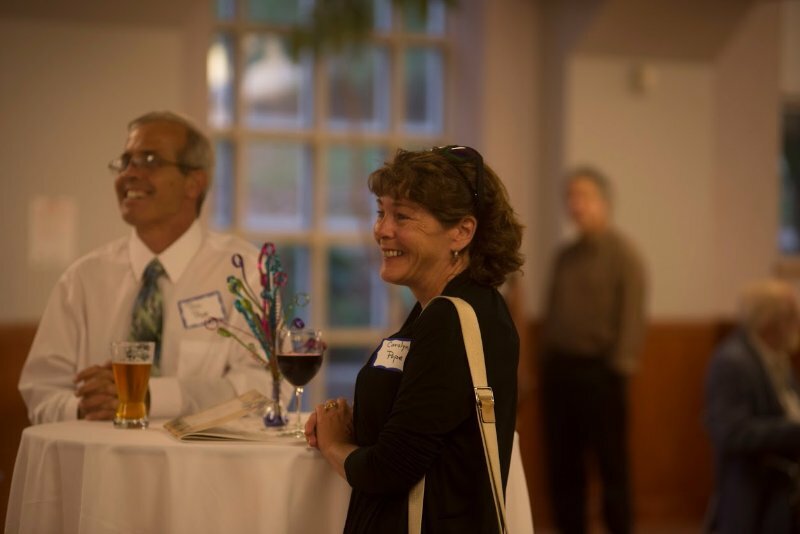 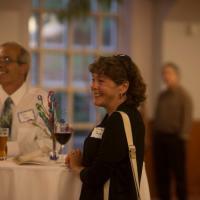 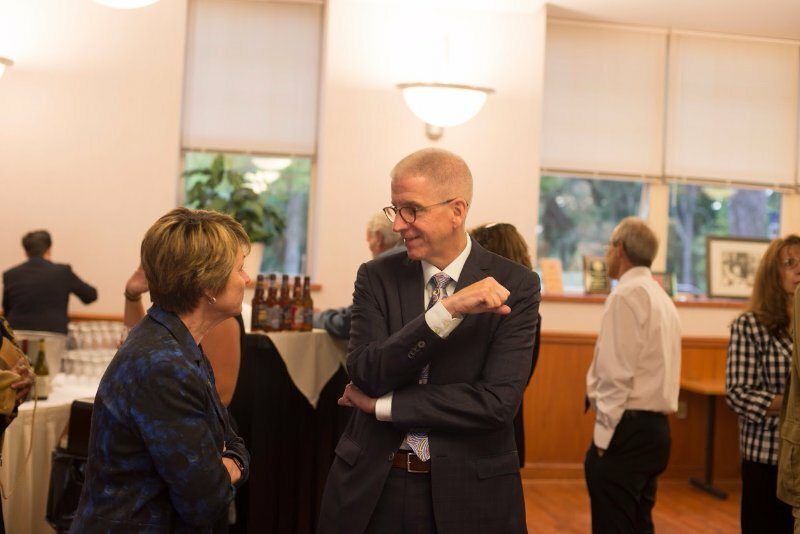 Kent State University President Beverly Warren (left) and AAUP Executive Director Peter Berkery at KSU Press's 50th anniversary celebration, September 25, 2015. 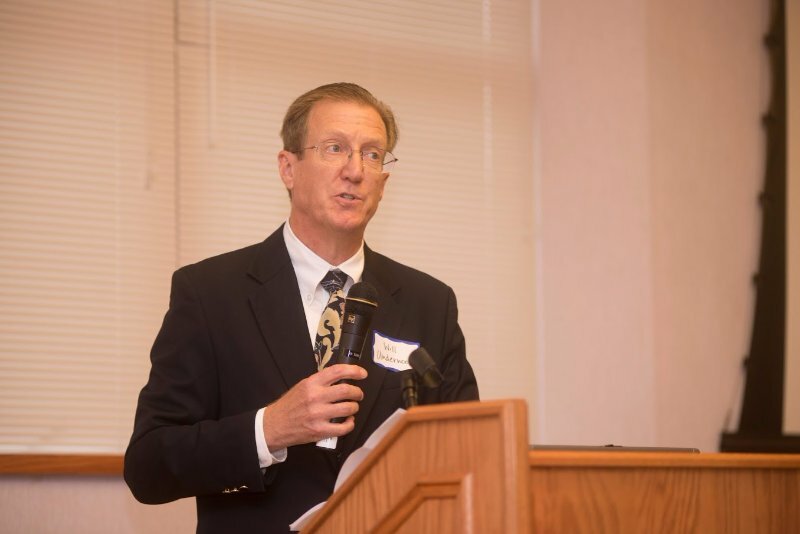 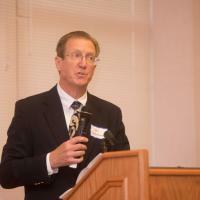 Kent State University Press Director Will Underwood addresses the gathering at the Press's 50th anniversary celebration, September 25, 2015. 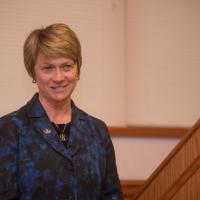 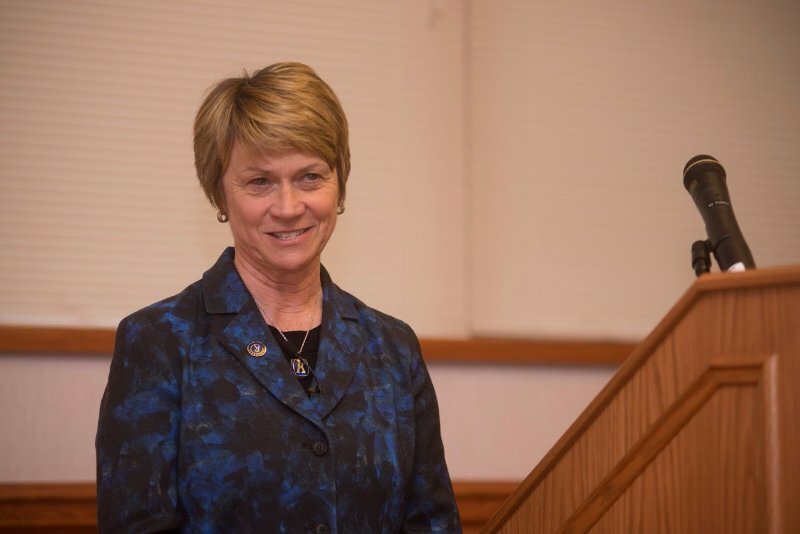 Kent State University President Beverly Warren addresses the gathering at KSU Press's 50th anniversary celebration, September 25, 2015. 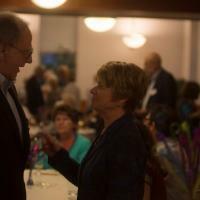 Kent State University Press Director Emeritus John Hubbell (left) and KSU President Beverly Warren at the Press's 50th anniversary celebration, September 25, 2015. 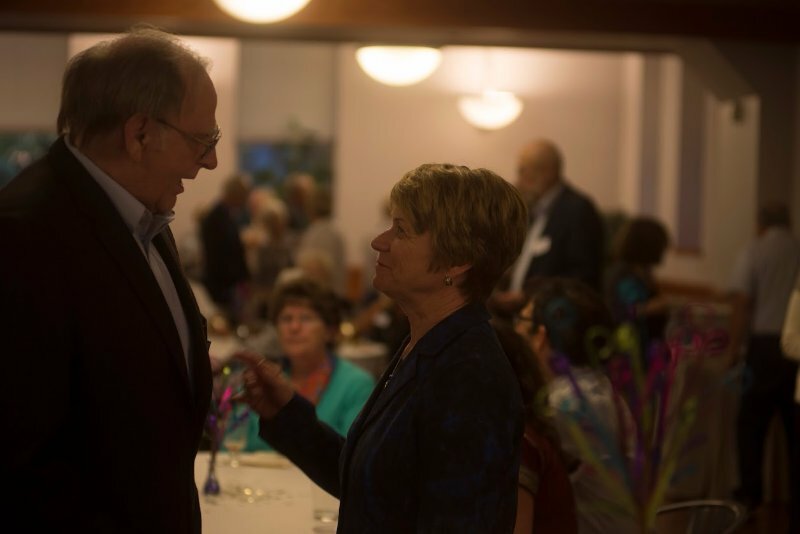 Author Tom Pope and wife Carolyn Pope at Kent State University Press's 50th anniversary celebration, September 25, 2015.